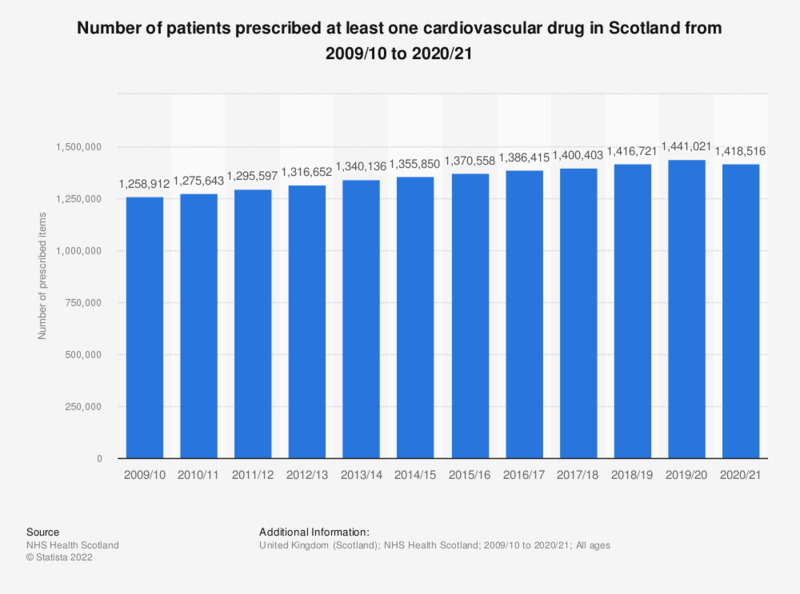 This statistic displays the number of cardiovascular items prescribed and dispensed in the community in Scotland from 2006/07 to 2016/17. The number of cardiovascular items dispensed in the community in 2016/17 amounted to almost 24.54 million. Number of items prescribed and dispensed in the community. Everything On "Cerebrovascular disease in the United Kingdom (UK)" in One Document: Edited and Divided into Handy Chapters. Including Detailed References. Statistics on "Cerebrovascular disease in the United Kingdom (UK)"